Saw these people cleaning the windows of a skyscraper next to my office building. 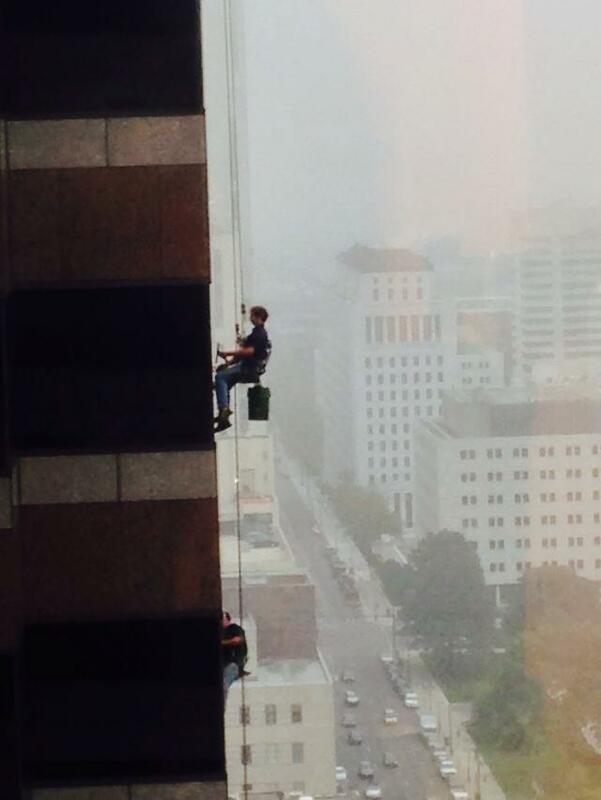 I have rapelled down from a 10 storey building, and have not much fear of heights, would love to try this job out. How much do these people get paid? Would you want to try out this or another daredevil job? Not as a job, but, given a chance, I do like to try out those adrenaline rushing roller coasters, sky diving, bungee jumping. This is not as scary as the job of replacing the light bulbs on the top of "lighting poles" on skyscrappers. Steel worker's job is the scariest. bomb disposal job is tuff. 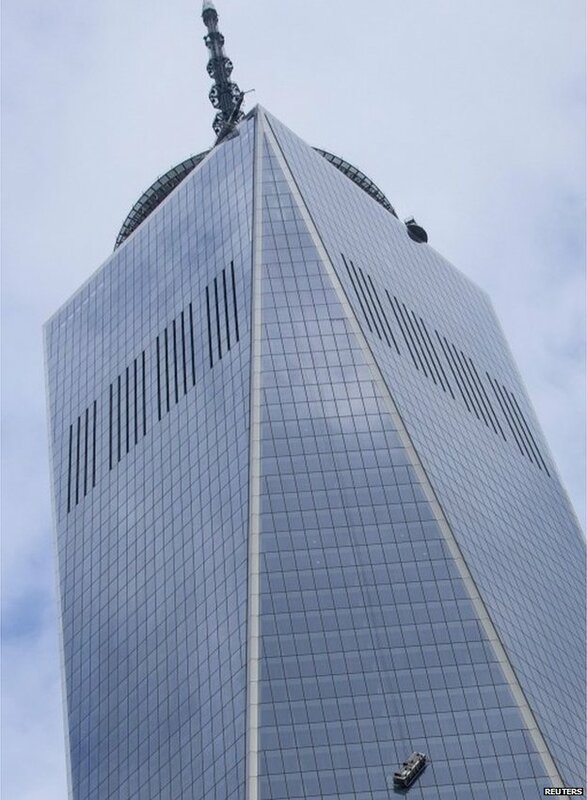 New York firefighters have rescued two window cleaners stuck on collapsed cradle 69 storeys above the ground at the World Trade Center site. Footage showed the workers rescued through a hole cut in one of the glass windows of One World Trade Center. The Fire Department of New York earlier told the BBC the two people were uninjured and tethered. The call came in at 12:42 EST (17:42 GMT) and they were on the scene in less than four minutes, a spokesman said. The window cleaners were pulled inside at around 14:15 ET. I saw that video. It must have been scary! How much do you think they pay for the life insurance premium? should be a lot more than us right? Normally there is a clause in the Life Insurance policies that you are not going to do Circus, Motor racing, etc. But not sure if window washing is listed as one of those (not every one gets to wash a 1000 foot building!). In these guys case, they would also be covered by Workers Compensation and Commercial Liability policies of their clients or employers.